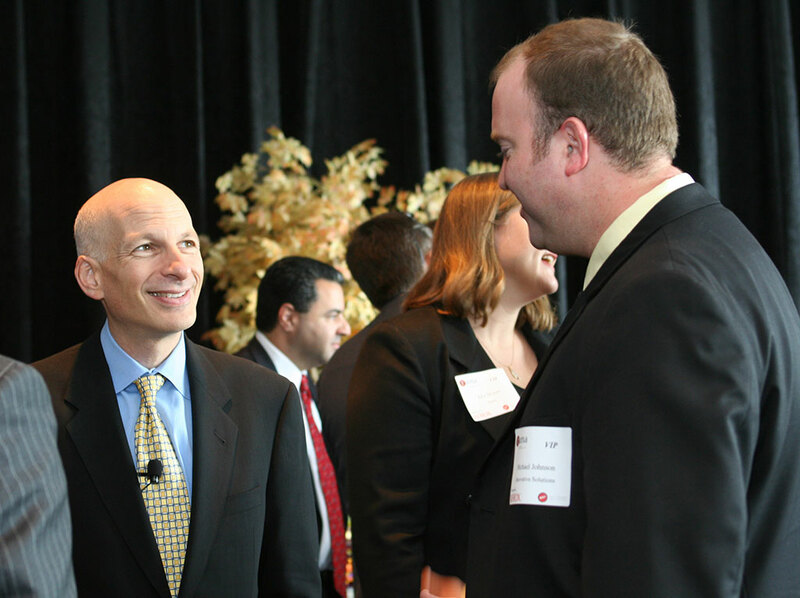 I had the opportunity to chat with Seth Godin yesterday for a little while. The author of Permission Marketing, Unleashing the Idea Virus and Small Is The New Big was in Rochester to speak with members of the Rochester Chapter of the American Marketing Association (RAMA). He’s a down-to-earth and genuinely nice guy…I think the word, “authentic” would best describe him. We talked about word-of-mouth marketing, blogs, and the influence that blogging has on the behavior and emotions of its readers. He’s got this uncanny way of telling you things that you already know…but in a way that gets you totally stoked up and ready to to move the bar higher. It was a great time and I appreciate that my employer, Innovative Solutions, sponsored the event. My name is Michael. I am a Graphic Designer, Web Developer, & Social Media Content Producer in Brooklyn, NY.